ADM sells ukuleles, guitars, violins, instrument cases, stands and other musicals instruments on Amazon. 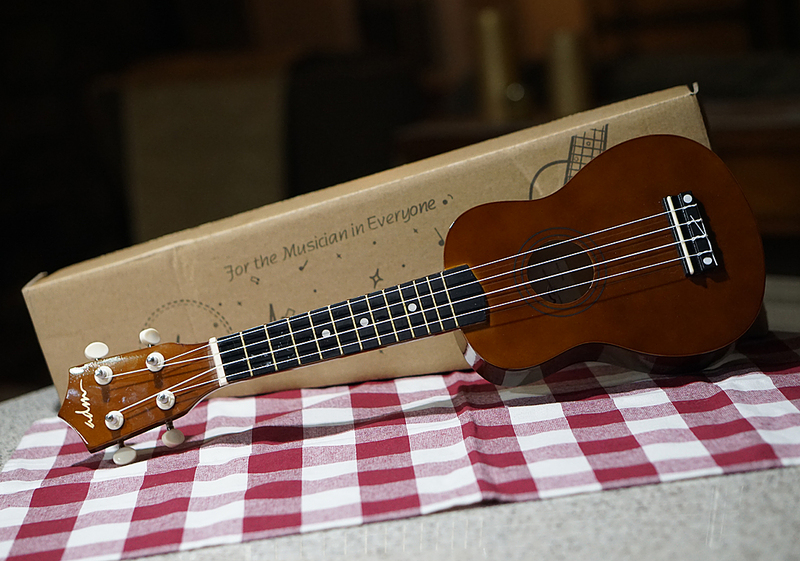 This week they gave me a beginner 21″ Soprano Ukulele to test out. Ever since I watched Grace Vanderwaal on America’s Got Talent, I have wanted to try my hand at playing the ukulele. It looks like a fun instrument to try. I tried to learn how to play the guitar but I could never build up callouses enough on my fingers and the wire strings hurt a lot! I have great appreciation for musicians because it is difficult to master an instrument. It takes a lot of effort, time, and of course, some talent, to play an instrument well. 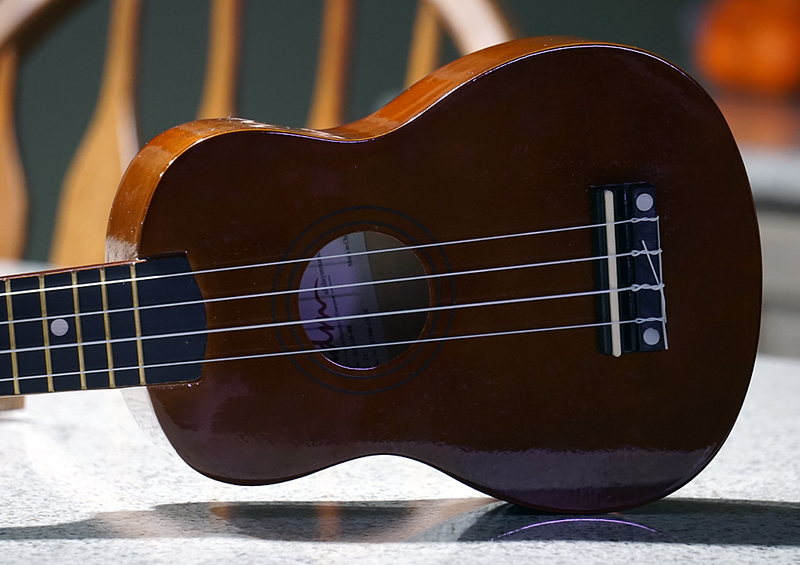 The ADM Soprano ukulele is designed for the very beginner – children and adults. 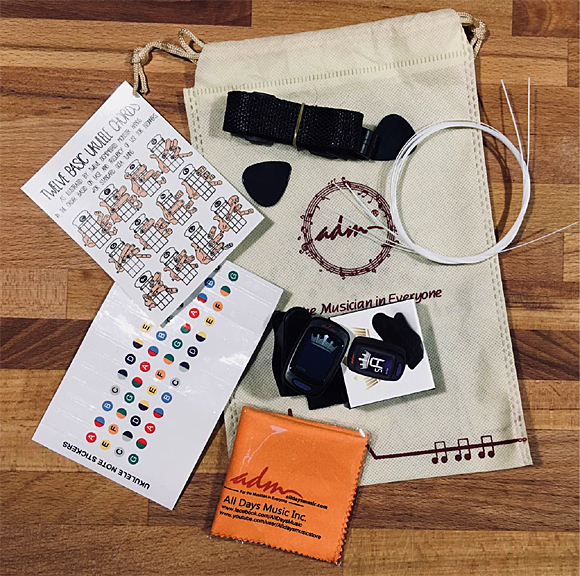 It comes with everything you need to get started to learn to play the ukulele. The hardest part of playing this ukulele was getting it tuned and using the tuner that comes with it wasn’t working out so I found a free tuner app. 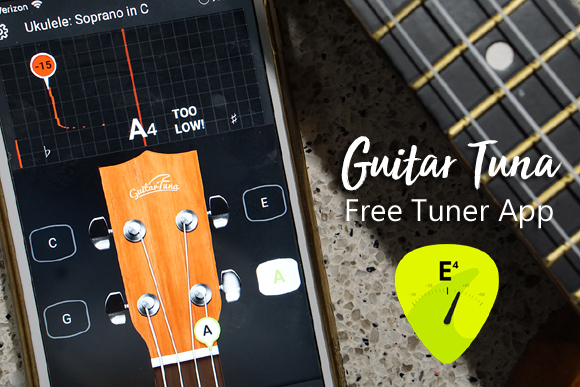 I suggest you install the Free “Guitar Tuna” tuner app. It works on both iPhone and Android. and is much better than what comes with this ukulele. The tuner is good for standard guitars, Soprano ukuleles in C, and Bass 4-string standard guitars. Watch my short video to see exactly what you can win. Whenever I see or hear a Ukulele, I think of Tiny Tim. My friend just started playing and loves it! Looks like it would be fun for the grandkids to learn to play! Congrats Margot S, Robert H, and Stephanie B!